After getting rather esoteric yesterday on Internet of Things Day, we get right back to practical reality today – 10 April is International Safety Pin Day. Apparently the inventor of the Safety Pin, Walter Hunt, was never short on clever ideas – he invented a flax spinning machine, a fire engine gong, a forest saw and a coal-burning stove, among others. But as good as he was with coming up with clever new inventions, finances probably wasn’t his strong suit. 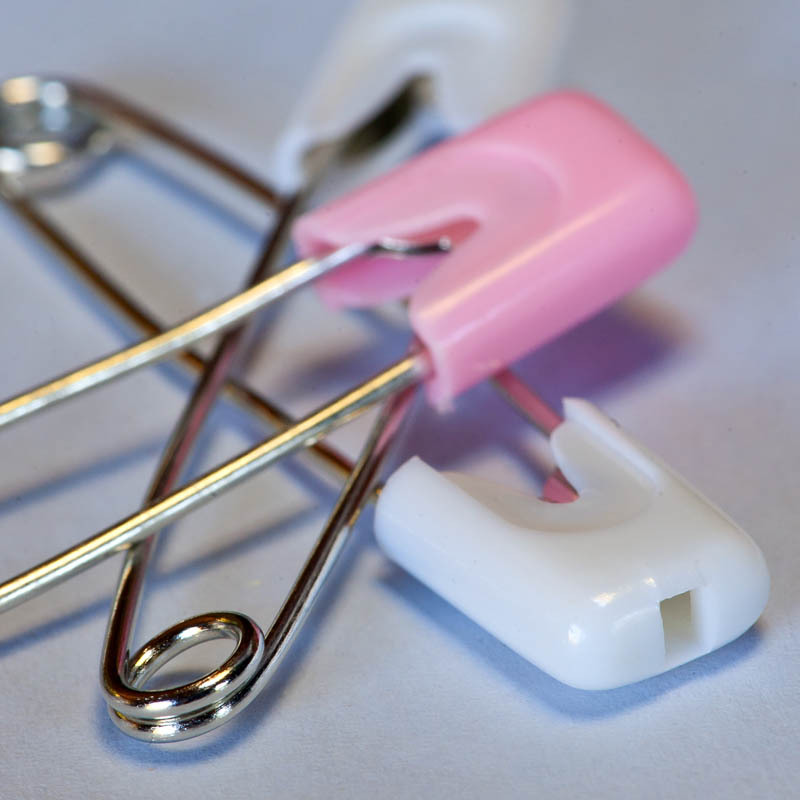 The safety pin – strong, durable and practical, yet safe enough to fasten a baby’s nappy. Legend has it that, faced with a $15 debt to a friend, Hunt figured the best way to get the money was to invent something new. So, armed with a piece of sharpened brass wire which he coiled in the middle and equipped with a clasp at the end to hold and shield the sharp edge, he created the first safety pin. He patented the concept on 10 April 1849, sold it to W. R. Grace and Company for $400, paid his friend the $15 he owed, and was left with the rather attractive sum of $385 for his efforts. Not too shabby! Sadly for Hunt the story didn’t end there. The new owners of the safety pin patent ran with the concept and is said to have made millions from the invention. I can imagine this must have left Hunt with a rather sour taste in the mouth, but then again, he may not have noticed, most likely being kept busy working on some other new inventions already. To this day, Walter Hunt’s safety pins remains one of those super-useful things to have around in the house, the car and anywhere you may ever have a need for a fastener or a pin. The safety clasp means you won’t hurt yourself feeling around for it in a cupboard or the car’s cubbyhole, and beyond its function as a ‘normal’ pin, it’s great for holding together torn or damaged clothing, or any variety of other things that need holding together. And of course, if you’re that way inclined, you can even use it as a piece of emergency jewellery!